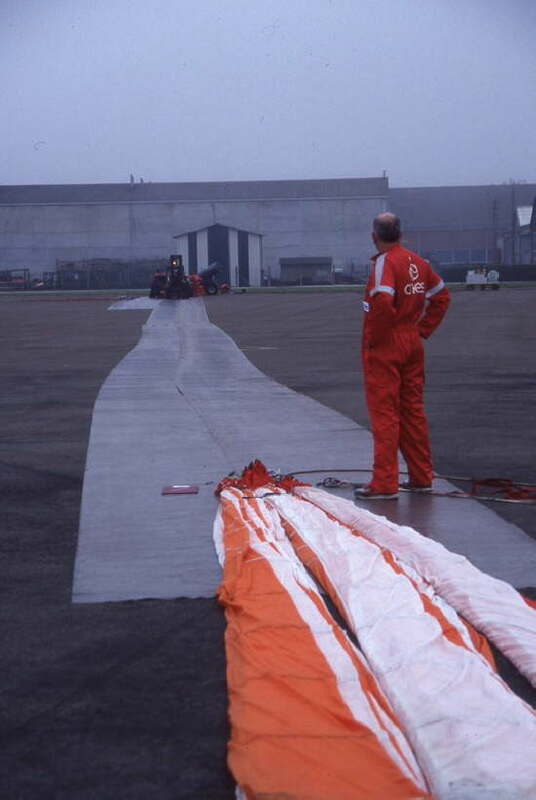 In 1983 a group of scientists proposed to the Swedish National Space Board the construction of a general purpose stabilized balloon platform capable of carrying a 200 kg payload for stratospheric flights lasting up to 12 hours. It was built by the Swedish Space Corporation and was used to perform astronomical observations of the interstellar medium in the far infrared spectral range in eight missions spanning the 15 years of duration of the project. The platform base -see image at left- on which instruments and telescope were mounted was octagonal shaped. The entire gondola had a width of 3 meters and a height of 2.9 meters, weighting less than 500 kg. It's mechanical design was planned keeping in mind that it would be used repeated times in several flights so was developed to avoid damage to vital parts of the instruments at landing. Thus, the central telescope mount was located inside a lifting yoke which was in turn surrounded by an impact protection cage. Crush pads mounted below the gondola were also included in each flight to absorb the landing shock. 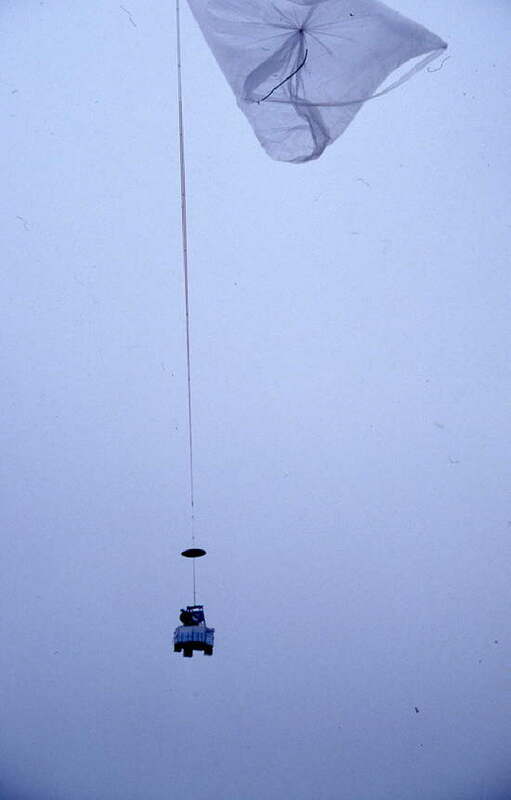 The azimuthal stabilisation was achieved by means of a cold gas system that used compressed nitrogen carried in pressurised tanks located below the gondola. During the flight, the gas passed through a buffer tank at an intermediate pressure whose flow was controlled very precisely by four proportional valves and let out through pairs of nozzles. There were two separate systems, the first one with high power thrusters for coarse control and the second one with low power thrusters for fine pointing. During the observational phase of the flight, the proportional valves received signals from an analogue control system which used the sun as a reference. This system was composed by position sensitive photodetectors and a projected light spot. There was a coarse sensor, which used a slit for projection, and a fine sensor, which used a lens. In addition there was an independent, redundant sensor. Since sun sensors of this type worked best as nulling instruments, the angle to the sun was established by measuring the rotation of the platform on which they were mounted. To facilitate the orientation of the telescope two TV cameras were used, along with two inclinometers that provided the information on the vertical attitude of the gondola. At any time of the flight two balance weights could be ordered to move along a pair of perpendicular rails in order to restore balance. The PIROG gondola got their power from lithium battery packs with a total capacity of 300 Ah. The gondola itself consumed approximatelly 150 watts leaving more than 300 watts to the experiments for a 10 hour flight. The electronics inside the gondola were contained in four racks with their own power supply. Scientific and housekeeping data was collected by a Pulse Code Modulation (PCM) system in both analogue and digital form and converted to a bi-phase format before being sent to the ground by a P-band transmitter. Telemetry data was sent with a speed of 256 Kbits/s throught near 800 channels with a sampling rate of 20 Hz, and with a resolution 16 bits. The telecommand system received commands sent from the ground station and interfaced them to the control system. Finally the signals from the two TV cameras were sent one at a time to the ground by a S-band transmitter. For all these communication systems there were an onboard backup unit or some kind of redundancy. During his useful life, the platform was progresivelly improved. 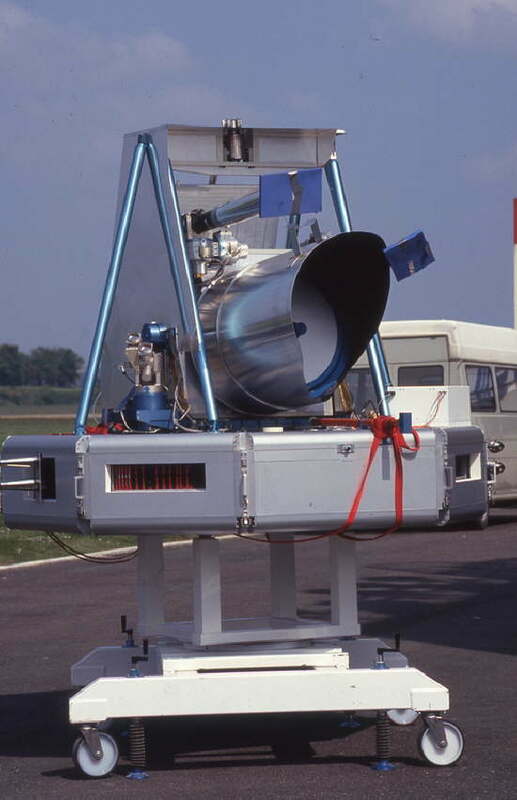 The initial model (MK I) carried a 30 cm telescope coupled with a cooled Fabry-Perot spectrometer, a second generation of the instrument (MK II) incorporated a 60 cm telescope with a heterodyne receiver, and the final incarnation of the platform used the same telescope along with a SIS receiver. Several other improvements were made specially on the onboard electronics. Nowadays, the gondola is diplayed at a museum located in the European Space Range, near Kiruna. PIROG 7 -the eighth mission of the program- was the first one to be performed outside Sweden. 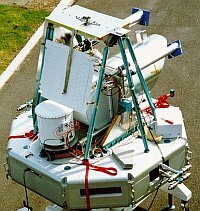 The experiment was launched on 2 May 1994 at 8:30 utc from the CNES balloon base Aire sur l'Adour in the southern part of France. The launch time was carefully chosen in order to observe the chosen astronomical target (Orion) near its culmination. Launch and ascent were normal and ceiling (39.5 km) was reached about 2.5 hours after launch. In all, 2:30 hours of useful time were obtained, about one hour of which was spent measuring the atmospheric emission, and the rest on the astronomical target (Orion). The observations of Orion bracketed its culmination precisely as hoped for, though a longer flight would have been desirable. 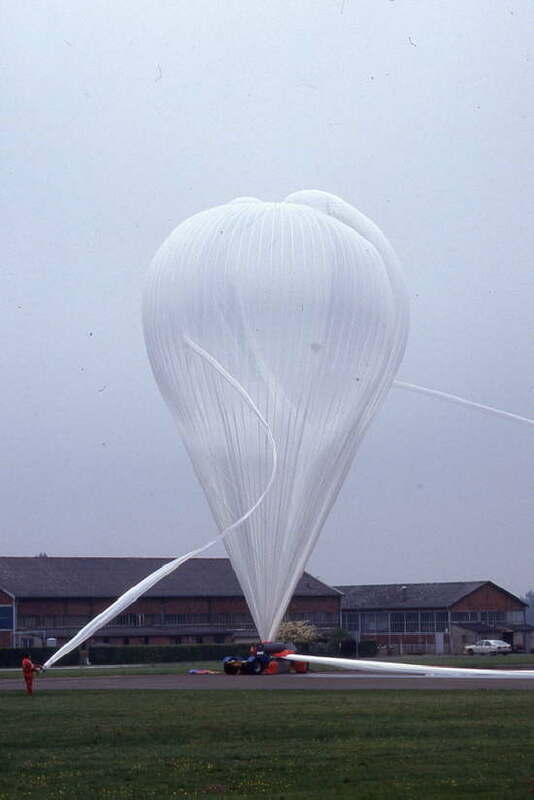 Observations were ended at 18.20 utc when the payload was dropped from the balloon. The landing of the gondola was very smooth and impact damages were limited to some external components. 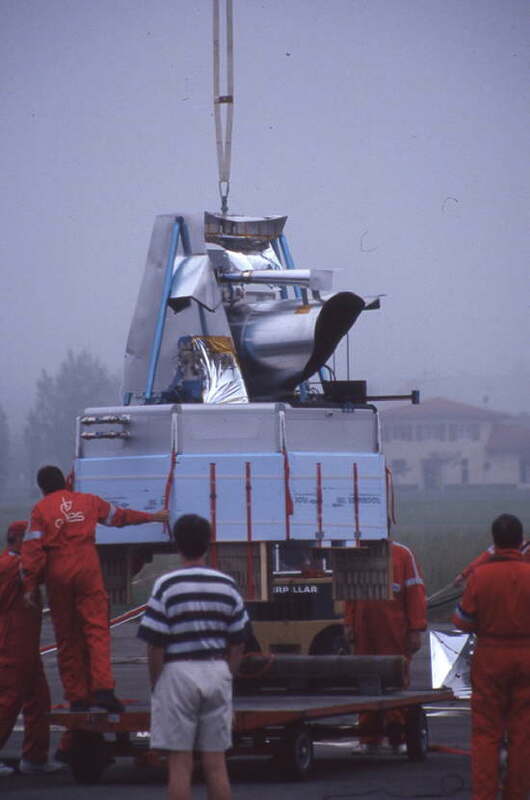 In this flight the PIROG gondola carried a 60 cm telescope with an heterodyne receiver for the 557 GHZ H20 line.